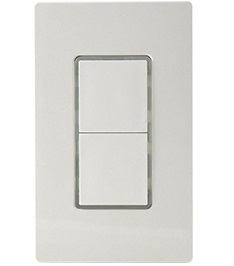 IR‑TEC's PBS series is a sleek, low profile push‑button switch designed to mount in a standard NEMA wall box. The switch provides low voltage momentary contact signal to a power pack or BMS to control the operation of electrical load manually by pressing the button. The innovative pluggable terminal makes wiring connection a super easy job. 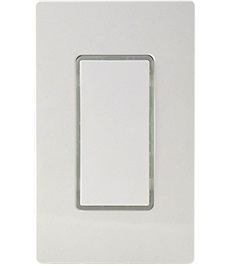 A screwless wall plate is supplied to create modern, high end appearance for all kinds of commercial spaces. Standard colors include white and ivory.